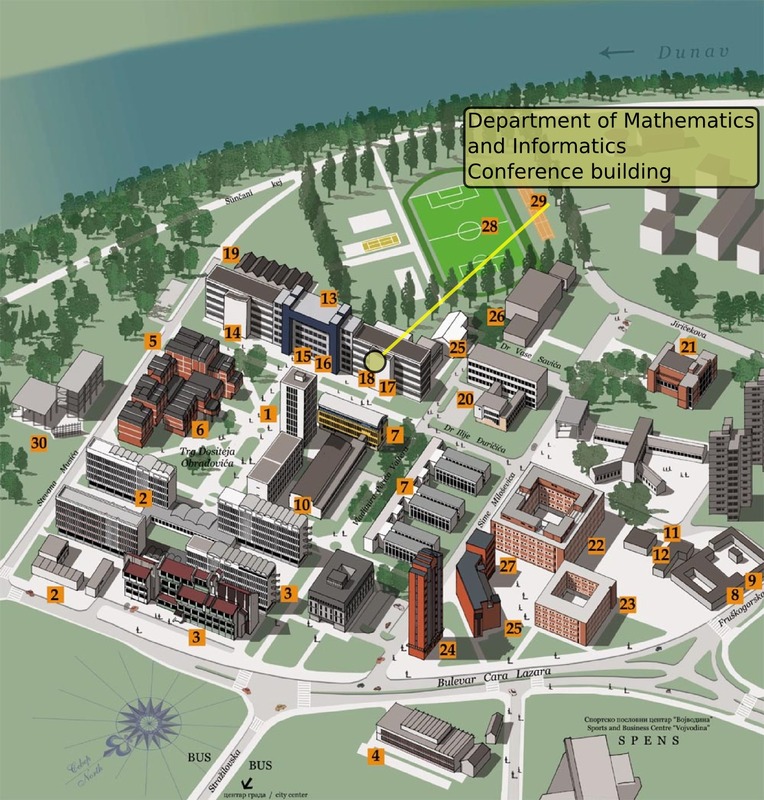 The conference will be held in Novi Sad, Serbia, Department of Mathematics and Informatics (III floor), Faculty of Sciences (address: Trg Dositeja Obradovića 4). The building is in the University campus, just outside of the city center (that is pretty small). If you will walk, it will take you around 20 to 30 minutes of easy walk. 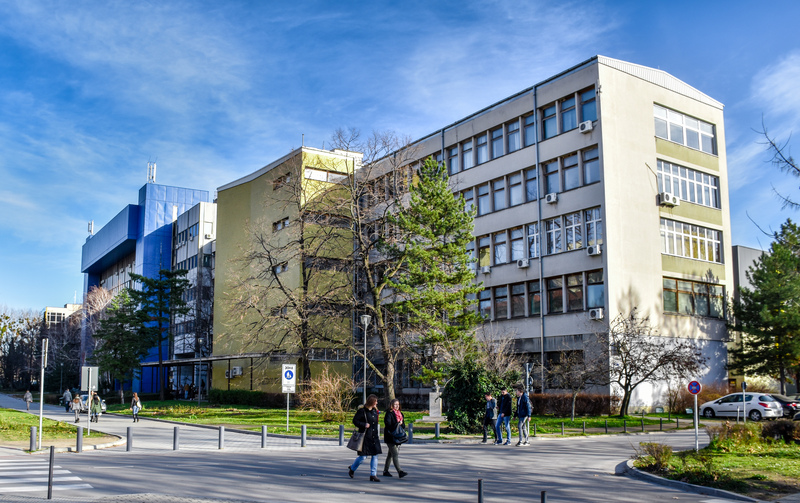 If you will use the taxi, state "PMF kod stubicha" (Serbian for "Faculty of Sciences, near the little columns") - from there you will need only a minute to the building entrance. For getting around the University of Novi Sad campus, please see the illustration below. This is a very big and complex faculty comprising six thousand students, professors, teaching and research assistants and administration staff. Teaching is provided for about 4,500 students at the bachelor level. Well-equipped research laboratories are a basis for the scientific activity of the Faculty, which is achieved through a host of national and international projects. Each department has its own library with tens of thousands of books and several hundred journals. Special attention is paid to the cooperation with the industry through joint projects, organization of seminars, workshops and courses. Department of Mathematics and Informatics was established in 1963, and since then has been one of the leading teaching and research institutions, first in the field of mathematics, and then computing as well. Through eleven accredited study programs at the undergraduate, graduate and doctoral levels, all of which are consisted of integrated units of knowledge and skills, the teaching process has been made completely in accord to the requirements of modern professional challenges, and the latest scientific research trends. Text taken from Faculty of Sciences and Department of Mathematics and Informatics official website. Novi Sad is well connected to other European cities by all means of transportation. For basic information about Novi Sad and getting there, please visit the following page and see the Novi Sad promotional video below. Also, if you are interested in exploring the city by yourself, Novi Sad Talking Android app could be useful.